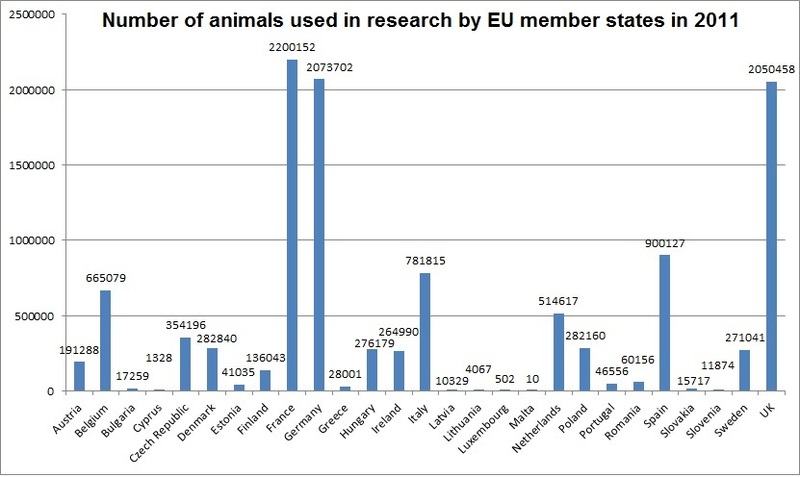 In 2014, the EU produced its Seventh statistical report (and additional detailed stats), which provided the 2011 statistics of the numbers of animals used in research throughout the EU countries (though France provided 2010 stats). The statistics show that just under 11.5 million animals were involved in experiments across the EU (11, 481, 521 to be precise). 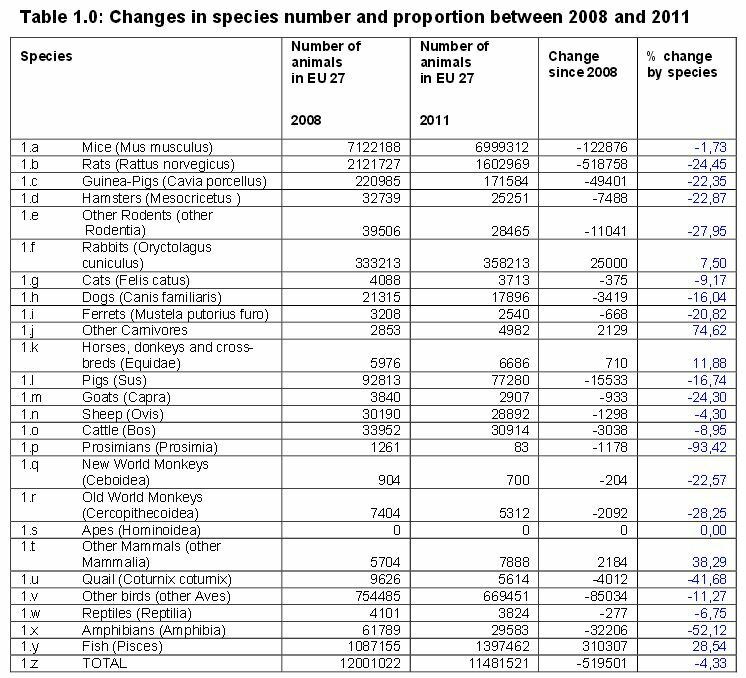 This is a 4% drop from 12 million animals used in 2008 (the sixth report). 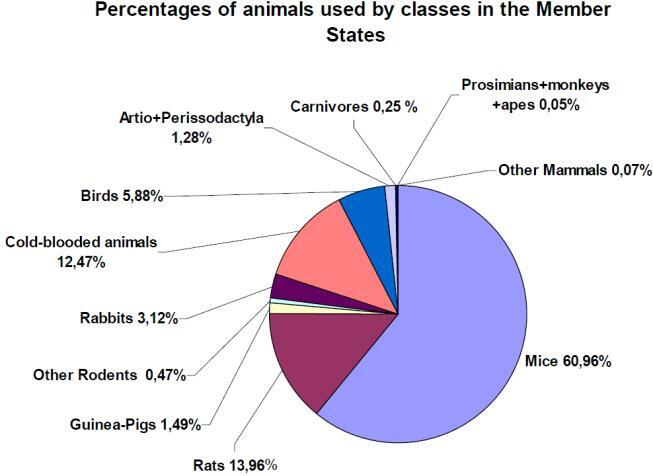 The statistics show that mice, rats, birds and fish account for 93% of animals used. Cats, dogs and primates together accounted for just 0.24% of animals used (less than 1 in every 400). We can see how the numbers break down among EU member. France, Germany and the UK have the highest number of animals in research – they are also the three largest EU economies.